The hours are counting down on 2014. Publishers are rushing to put out myriad top-10 lists. Maybe it's their most popular posts of the year (which we'll do later). Maybe it's the top 10 newsmakers. You may have seen Golf Channel's top 10 shots of the year. For the trick-shot duo Bryan Brothers, the year was a break-out one. 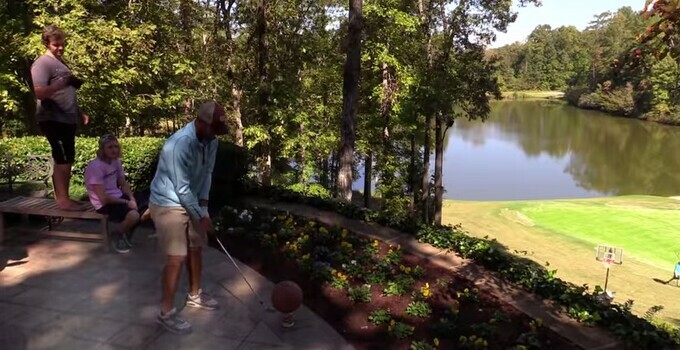 They earned thousands of new fans as their trick-shot triumphs became viral fodder for publishers and golfers alike, all amazed as their imagination, coordination and execution of some novel trick shots. As a way of capping off a great year, the boys put together a highlight video of their top 10 shots of 2014.